Reviewing chess books for the non-GMs! 2018 CJA Best Column Award winner! Brunia, Rob and Cor van Wijgerden. Stappenmethode (Chess-Steps). Series of 20+ student workbooks and six manuals for teachers. Price varies, but usually ~$10 per workbook and $17 per teacher’s manual. Nothing is more foreign to American chess, and American chess education, than the Stappenmethode. And this explains quite a bit about the state of modern American chess. My first chess book was Fred Reinfeld’s Chess in a Nutshell. It was a slim volume, providing the rules, basic strategy, and not much else. After that came Bruce Pandolfini’s Chessercizes, Chernev’s Capablanca’s Best Chess Endings, leading, after some twists and turns, towards the avalanche of chess books and magazines that pile up in my basement office. I thought, after reading Reinfeld and struggling to solving a few puzzles from Pandolfini, that I was ready to take on the world. Hubris! If only it were so. Old Russian men beat me mercilessly at the Merrick Chess Club, and I was hopelessly outclassed in my first rated games. But I, unlike so many juniors attracted to the game, stuck with it. This is in my experience rare – I don’t know whether I should be proud of this or horrified by my masochism – as most young players seem to disappear from competitive chess soon after their arrival. Why? Why do so few scholastic players continue through the junior ranks? Why do they drop out? My example is perhaps the example to avoid, the proverbial jumping into the deep end without adequate preparation, but it is also entirely typical of how most Americans learn the game. Someone teaches them the rules, or perhaps they go to a multi-week class at their school or public library. They learn (most of) the rules, Scholar’s mate, pins and forks, and Morphy vs the Count and Duke. Then they are thrown into tournament play, with the result that their first games are nothing more than the semi-random shuffling of pieces. Perhaps they are successful in these contests of who can hang the fewest pieces, but as our juniors ‘move up the ladder,’ they suffer defeat after defeat against competent players and they can’t seem to improve. Soon they slink off, not wanting to lose, and with Mom and Dad entirely willing to let them give up because it’s ‘too hard.’ After all, chess is just a way to boost brain-power and IQ. They got what they ‘needed’ from it, so why make Junior work to get better? Things are very different in the Netherlands. There chess is organized around the local club with active and dedicated junior sections. Such arrangements are common in Western Europe, where large sporting clubs (think Bayern Munich or Werder Bremen) organize teams and training in multiple sporting arenas. Young players attend training sessions and play informally. Only after they prove their mettle do they advance to competition and league games. Training in the Netherlands is generally based around the Stappenmethode (the Chess-Steps or Steps Method), a systematic program created by Rob Brunia and IM Cor van Wijgerden beginning in 1987. Van Wijgerden, who became a trainer for the Dutch chess federation in 1981 and later took over education at the Max Euwe Academy, has trained most of the leading Dutch players of our time. One way to think about the Steps Method is to look to the world of football, or soccer as we heathen Americans call it. The Dutch became famous for ‘Total Football,’ which provided all of the Netherlands a footballing philosophy from the U9s through their national team. Training and drills were standardized. Today Ajax, the leading Dutch club, continues this tradition. The Netherlands is a country of approximately 17 million. There are over 300 million Americans. So why are the Dutch so much better at football than we are? The answer must be the training. American coaching at the grassroots is haphazard, and until very recently, there was no national training center. Our young footballers spend their time playing games weekend after weekend (when not playing other sports) and the quality of their coaching is a crapshoot. Meanwhile young Dutch players are honing their skills and learning the Dutch system. The proof is, as always, in the pudding. The Steps Method plays an analogous role in the chess world. While American juniors succumb to the lust for competition and trophies nearly as soon as they learn the rules, the Dutch do things differently. Young players receive structured instruction before they are allowed to advance to competition. The Steps are, almost universally, the basis of that instruction. The same is true in multiple European countries and in academies across the globe. There is nothing mysterious about the Steps Method. Players are led through six courses of planned training, beginning with the most basic components of chess understanding. For each step there are student workbooks and manuals for teachers. The manuals contain scripted lessons, teaching examples, and information on good chess pedagogy, i.e., how children learn and think at different ages, and how to use that knowledge to structure your teaching methods. The idea is simple: if your club isn’t blessed with a strong player or experienced trainer, you can still teach your players the proper way to play the game using the Steps Method. Step 1 (Workbook|Manual|Extra|Plus) is designed for players rated up to 800 or so and involves 15 distinct lessons. Because no previous knowledge is assumed, the first lessons involve things like how the different pieces move, what check is and how to get out of it, etc. Step One focuses heavily on material gain – how to attack, how to defend, how to use the ‘twofold attack’ – and only introduces checkmate halfway through the Step. It uses ‘mini-games’ to help make the instruction more palatable, and to help focus beginners on how specific pieces move and interact. Anyone who watches junior chess and thinks for a moment will understand the justification for this way of doing things. Children’s games often devolve to who hangs the least pieces, so that mate and victory become (in a sense) a function of material advantage. If we’re being honest, this is true for players all the way up to expert. The first Step is designed for player aged 8 and above, but the system can be modified for younger students. Two books – Stepping Stones 1, covering roughly Lessons 1-6, and Stepping Stones 2, covering Lessons 7-15 – are also available. The problems are slightly simpler and the diagrams are larger (six to a page instead of twelve) but the material is basically the same. Step 2 (Workbook|Manual|Extra|Plus) and Step 3 (Workbook | Manual | Extra | Plus) offer lessons that begin to resemble ‘real chess.’ In Step 1, players become very good at finding and executing one ply (half-move) tactics, so that loose and underprotected pieces are captured, etc. Step 2 and Step 3 begin to require that players calculate up to three ply – I move, you move, I move and win – to achieve their aims. In Step 2, designed for players up to 1300 or 1400, players are introduced to the building blocks of tactical play. Tactics, as Brunia and van Wijgerden constantly reiterate, are what win and lose games at this level. The focus here is on basic mates and the win of material through elementary motifs like double attacks and pins. There is little emphasis on positional themes beyond discussion of activity, and only in the middle of the Step is anything about the opening considered. All players need at this level is an understanding of the ‘three golden rules’ of the opening, and nothing more. Step 3, for players rated up to 1600, is a continuation of Step 2. Here again only the slightest attention is paid to the opening, and most of the Step is centered on tactics. Trapping is introduced, as are the x-ray attack, discovered and double checks, and (most importantly) eliminating the defence. Positional instruction is limited to mobility and very basic static themes, and only the rudiments of pawn endings are studied. Step 4 (Workbook|Manual|Extra|Plus) and Step 5 (Workbook|Manual|Extra|Plus) are more difficult. Here players are asked to increase their calculative abilities to five ply – I move, you move, I move, you move, I move and win – and more abstract (non-tactical) themes are considered. Step 4, for players up to perhaps 1800, introduces the preparatory move. Tactics must be set up, so that a double attack might require a player to lure one of his opponent’s pieces to a useful square. More complex aspects of removing the defender and pins are tackled, the utility of the 7th rank is explained, and mating attacks are emphasized. 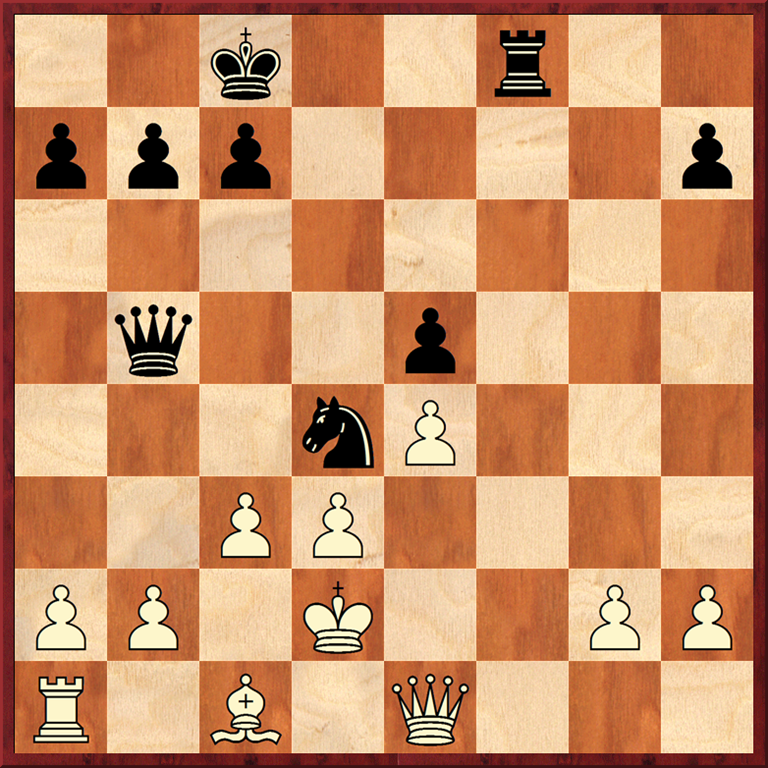 More positional lessons are provided, including a lesson on weak pawns, and additional endgame instruction is given. Step 5, for players under 2000, begins to pivot more towards strategy and away from tactics. Players are still asked to calculate five ply, but because the lessons begin to become positional in nature and thus less concrete, this Step is a step up from Step 4. Pawn play is emphasized, as are elements of rook endings and good rook handling (7th rank and open files). Tactics, of course, are not abandoned in this Step, and discussion of defense is included for the first time. Step 6 (Workbook|Manual|Extra) is unique in that it is designed for the self-learner – there just aren’t that many trainers around who can teach players over 2000! Many of the themes covered in earlier Steps return here in more complicated form, and heavy attention is given to strategy and endgames. The Step 6 Extra workbook is also unique in that a Grandmaster, Erwin l’Ami, has been brought on as co-author. This is particularly interesting given that l’Ami was once a student of van Wijgerden, and presumably ascended the Steps in his own chess education. Each Step should take about one calendar year to complete. It is also critical to understand, as van Wijgerden reminds anyone who will listen, that the Steps are not merely a series of workbooks with puzzles to be solved and ‘belts’ to be earned. Theory must be mixed with practice. Players need access to good trainers to help them go over their games, correct their mistakes, and guide them towards greater understanding. The key to the Steps Method is the inculcation of a solving strategy. Basically players are taught to search or ‘read’ the chessboard, pick out key elements or targets – unprotected or underprotected pieces, possibilities for various tactical motifs, etc – and then take advantage of what they discover. Trainers show their students scripted examples that clearly illustrate the nature of double attack, for instance, and then the students learn to find double attacks through solving. 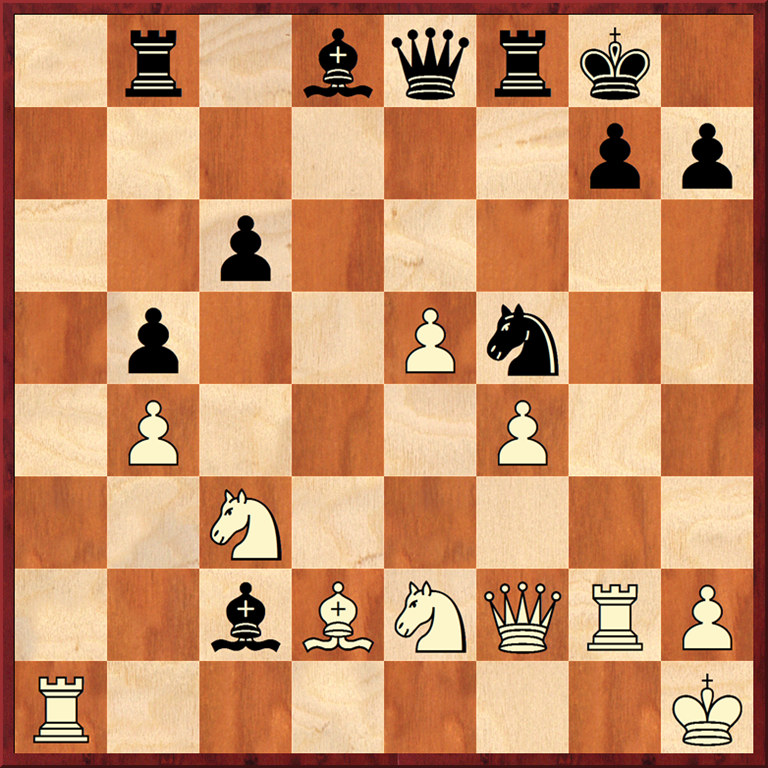 In the first diagram, which comes from Step 2, we quickly see that White has two unprotected targets – the knight and the bishop. Black can play two moves (…Qf4+ and …Qh6+) that would attack those targets and also give check. 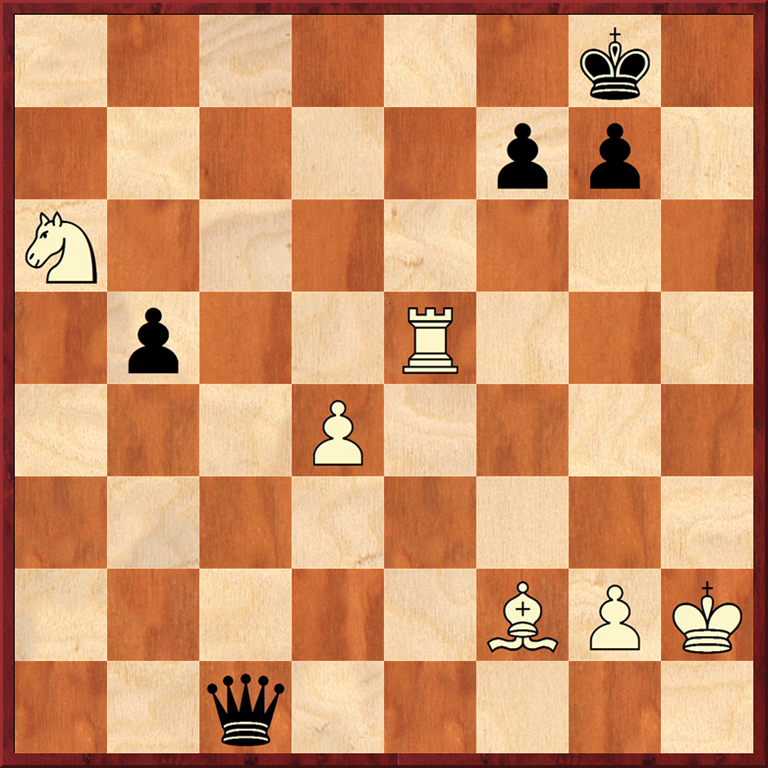 Only one move works, however, since after …Qf4+ White can play Kg1 saving the bishop. The correct solution, then, is …Qh6+. The second diagram, drawn from Step 4, is more difficult. Only after players decode the position, discovering the loose pieces on b8 and c2, does the idea of 1.Qa7! (followed by 2.Qa2+ winning a piece) become possible. When search strategies are internalized and become second nature, such tactical shots are not particularly hard to find. When you are solving the combination, finding the solution is all very well, but thinking in the correct way is equally important. Always start by asking the important question: what is going on in this position? In the position, what targets are there to attack? What are the options to exploit this? Which candidate moves come into question? Check the move you want to make. Try your hand at this position, given immediately after this passage above. Black is to move. Trainers are given fully scripted lessons with illustrative examples, and students practice what they learn by solving dozens of correlative problems. Nothing is left to chance. The Steps Method has been translated into 10 languages, and it is used in countries around the world. Its success speaks for itself. Still, it has its critics. Some, as mentioned above, think the Steps to be nothing more than programmed puzzle books. Others, like Willy Hendriks, have more subtle concerns. Moves, not rules, are what’s important in this view. The idea that “you should not try out moves at random, but first take a look at the characteristics of the position, try to make a more general plan on that basis and then only search for a concrete ‘result’ at the level of an actual move… is nonsense.” (14) No one, says Hendriks, actually thinks like this, and we would do well to abandon the fiction. Key elements of positions only come to mind once we see a good move associated with them. Perhaps this is true for grandmasters, but it is decidedly not true for beginners and for class players. Or, better, it might be the case that some players – Americans in particular – learn chess this way, and they are much the poorer for it. I don’t know how much teaching Hendriks does, but in my experience, asking beginners to simply find good moves is little more than tilting at windmills. How can they find good moves if they don’t know what makes them good in the first place? They might discover, through induction, what forks are if they solve hundreds of tactical puzzles, but certainly they can begin to find them more quickly if they know what they’re looking for. This, to my way of thinking, is the point of the Steps Method. It teach players how to read positions and how to find the good moves in them. Hendriks forgets that one must be taught to read before one can actually do so. Eventually one just reads without sounding out the words, but it takes a lot of work to get there. That work is nowhere to be found in Hendriks’ vision of things. I think that for beginners and less talented players – the vast majority of us – the structured approach found in the Steps is helpful and perhaps necessary. Only when it becomes fully internalized and intuitive should it be cast aside a la Hendriks. Implicit here, of course, is my criticism of typical American chess education. It is wholly unsystematic and it throws young players into tournament play before they are ready for it. Such youth fail to progress beyond near-random shuffling of pieces because they never learn how to read positions. Losses pile up, and they drop out, having gotten nothing out of the whole affair save a trophy or ribbon. At least two generations of Americans have tried to learn chess via mega-doses of tactical puzzles. They solve hundreds of diagrams and hope to pick something up along the way. It’s possible that this works; indeed, it must work in some cases, since lots of our masters grew up clutching tattered copies of Reinfeld. I would still humbly argue that a programmed approach such as the Steps is a much more efficient way to learn chess, such that success becomes quantifiably more probable. I think the Steps Method is the best chess training system publicly available. The workbooks and manuals are remarkably affordable, and even those whom Caissa has not blessed with great talent can succeed as trainers. Because each Step comes with scripted lessons, good teaching examples, etc., competent class players can serve as trainers through at least Step 3 and perhaps beyond. Some lessons might ask the trainer to play out specific positions against pupils in simuls, and analytical strength becomes more important as trainers look at games of stronger students, but generally speaking enthusiasm (and a strong silicon assistant) can overcome some of these limitations. I also believe that adult players – especially those without access to a top-level coach – can use the Steps as a program for self-improvement. I have been using the Steps both in teaching and in self-training. [Addendum: Last summer I used Step 1 as the basis for a week at the Omaha Chess Camp in the beginner’s section, with mixed success – some beginners thought they didn’t need to learn the basics!, and the customer usually ends up being right…] Let me conclude, briefly, by discussing my experience with both cases. (1) A few months ago I was asked to begin teaching a young boy who had just turned seven. This puts him right at the cusp of what the Steps deem an appropriate age for effective chess education, so after an initial assessment, we began with the Stepping Stones 1 workbook. Over the past four or so months we worked through Stepping Stones 1 and 2, and now we are beginning Step 1 Plus. Our weekly lessons are broken down into three parts. First, we look at some of his games played on chesskid.com. His ability to correctly notate his OTB games is still shaky, so the games on ChessKid are a very good way to try and gauge what’s going on in his competitive play. We then do a lesson, in part or in full, from the Steps, and we might play a mini-game or two. Homework is assigned. Finally we look at a game or two with an interesting tactical twist. Some games have come from the Encyclopedia of Chess Miniatures, and more recently, we have been looking at games from The Art of Checkmate. One of the difficulties in adapting the Steps to an American context is impatience. Ideally we would spend one full year in Step 1, and real tournament play would not begin for at least that long. Such luxuries are not possible in the States, so I tried to dissuade this boy’s parents from entering him into competition for as long as I could. I also moved from the Stepping Stone books into Step 1 Plus, which revisits the themes of Step 1 while introducing some new ideas. It is far too early to know how things will turn out, but I notice that the terminology of the Steps is becoming part of his chess vocabulary. We speak of threats and two-fold attacks, of chasers and guards in the context of checkmates. He is beginning, ever so slightly, to see the chessboard in the way that the Steps prescribe. I think this is for the best. (2) As for me, after some poor results and in light of my haphazard education, I started with Steps 2 and 3, including the Plus workbooks, and am now (still) in Step 4. For this step and the ones to come, the idea is to do the original workbook followed by the first half of the Extra book, which reinforces what has been learned. I then do the Plus book and lessons, and cap things off with the second half of the Extra book, which is worksheets filled with problems on mixed themes. It is easy to treat the Steps as just another set of puzzle books, and without a trainer steeped in the Steps, I suspect that I’m not getting full benefit from them. (I play each week at a local club, and I go over my games with the computer and with my coach.) What I do notice is greater tactical acumen in my play. For example, I recently defeated a 1900 player because I was able to use ideas gleaned from the Steps and win material. In another game, I found a tactical shot that took me from lost to won against an 1850 player in only one move. The Steps are not a panacea. I still blunder, like every class player in existence. I overvalue bishops and underestimate passed pawns. Sometimes I struggle to defeat inferior players. But my board vision is improving, I’m generally calculating better, I feel more confident and I’m winning more. After (flying spaghetti monster help me) almost 25 years of chess, I’ll take it. This entry was posted in Instructional, navel-gazing, Tactics and tagged Chess Steps, Cor van Wijgerden, Erwin l'Ami, Rob Brunia, Stappenmethode, Steps Method on November 16, 2014 by fullcityplus. It may seem that things have gone quiet here at Chess Book Reviews, but this is not the case. I’ve reviewed four books for print publication (Chess Life and BCM), all of which will appear here in due time. In bigger news, however, I’ve been asked to become the permanent book reviewer for Chess Life magazine. You will see reviews by yours truly each month in that august magazine, and I’m as pleased as can be for the opportunity. All reviews will naturally appear here as well upon publication. In the coming days you will _finally_ see a review and discussion of the Stappenmethode. I’ve continued my traversing the Steps, and in a game at my local club, I’m pretty sure that the work bore at least one night’s fruit. Enjoy. This entry was posted in navel-gazing and tagged Chess Life, Stappenmethode, Steps Method on October 21, 2014 by fullcityplus.